It is that time of the year again when different colleges, student organizations and independent groups of the University of the Philippines (UP) Diliman unite in joy around the academic oval to end the year inside the university. Despite earlier news that the Lantern Parade was cancelled to give way to ongoing relief efforts for the recent typhoon, the annual event will be held Wednesday, Dec.18. The parade is set to start at 4 p.m. This year, the Office of the Vice Chancellor for Community Affairs (OVCCA) heads the Christmas Festivities Committee, which supervises and oversees all the events that will happen during the whole season. The Lantern Parade should, according to OVCCA head Prof. Melania Flores, be made as a relief drive more than a simple celebration. Earlier, after the disaster that has wreaked havoc in Visayas, the UP administration said the Lantern Parade will be cancelled this year. Instead, college-based exhibits of lanterns has been proposed. However, on a meeting last Dec. 6 in the Diliman Gender Office, Flores acknowledged the changed perspective of the UP community on the subject matter. “Nagbago na ang pagtingin sa Yolanda… Ang parade dapat bago ang theme: babangon tayo (The view on Yolanda has changed… the parade must express a new theme: that we will rise again),” said Flores. The event’s mood will be scaled down as well. 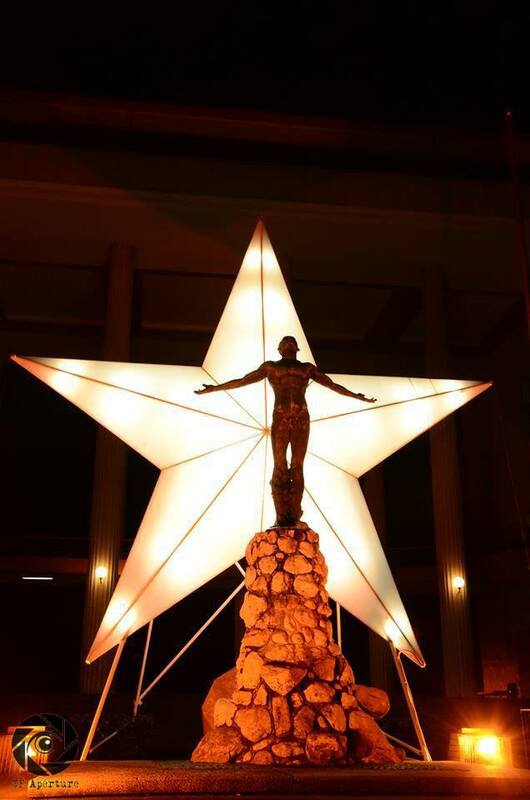 Taking the initiative, the UP administration made a simple lighting of the Quezon Hall facade, and saved 100,000 pesos. This year’s Pasko sa UP expenses is projected at 700,000 pesos, with a 500,000-peso cut compared to last year’s costs. All the savings will be used to help the 332 students from UP Tacloban, together with 172 sheltered families of these students in meeting their physical and psycho-emotional needs. In addition, the lantern-floats to be made by the different colleges and organizations must strictly be produced from recyclable materials. There will also be no fireworks display this year. The Beta Epsilon Fraternity, who sponsors the post-parade fireworks, was told to redirect the funds to relief efforts this year. The fireworks display will be replaced by the singing of Sulong Isko, written by Professor Reuel Aguila as tribute to Yolanda victims. Parade attendees are also expected to participate in a one-minute blackout and are encouraged to use their mobile phones to light up the place. At the end of the parade, all the lantern-floats will be transported to the Maskom Hill (near the College of Mass Communication’s Plaridel Hall) and will stay there for the night. In the next two days, the recyclables from lantern-floats will be disassembled and put to use as help for Yolanda victims. Attendees for the parade are estimated to be at least 50,000, comprised of almost 22,000 students, spectators, guests and alumni. The figure is expected to triple, as the celebration timed with the 30th anniversary of the founding of the College of Arts and Sciences, which includes College of Science, Social Sciences and Philosophy, Arts and Letters. The three colleges will unite in making a lone lantern-float for the competition, which will be supervised by the Office of the Vice Chancellor for Student Affairs. The collective efforts of the UPD Police and Special Services Brigade, headed by John Barona, will be responsible for the regulation of the traffic along the university campus. Changes to this year’s Lantern Parade are in fact in remembrance for a time of new beginnings, despite the tragedies and losses. It is not only a commemoration for the year that the nation has triumphed to survive, but also a kickoff for a year that is yet to come. While the students, faculty, alumni and outsiders are expected to bask in the glory of the celebration, one must remember that UP does not hold the parade merely for fun, but for its greater significance – to instill the dynamism of bayanihan and to fulfill its pledge to provide service from the people, for the people.